Hi Nils, Very good question! I have to admit I’d never noticed before and have never even heard it discussed. If I had to guess I would say I know Mercury embarked on a number of mid-year changes in 1956 – introduction of the 4-Door Phaeton hardtops, discontinuance of the 4-Door Sedan, a new Custom Convertible, some new engine refinements, and so on. Montclair interior updates likely happened then. 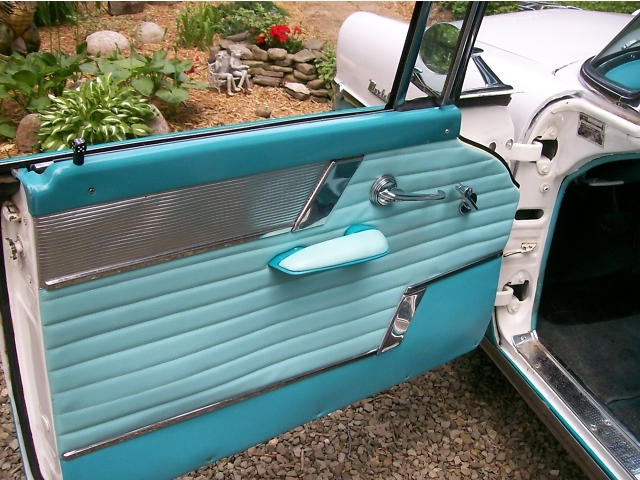 I am looking for door panels for my husband 1956 mercury Montclair. Do you make them or can you point into the direction of when I can buy them? Hi Jessica, Apologies for my tardy reply. Check out https://smsautofabrics.com/ You will find what you need there. If you need help don’t be shy about phoning them – they are very approachable. Hi Bill, I have lots of 1956 Mercury interior pictures. Different models have different designs; please tell me specifically what you want to see.